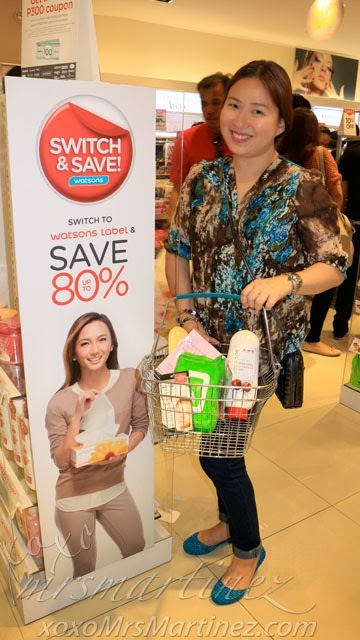 Yesterday, I was back at my favorite shopping destination- Watsons The Block, SM North EDSA to learn more about its Switch & Save campaign. Basically, when you switched to Watsons label, shoppers can save up to 80% without compromising on quality. 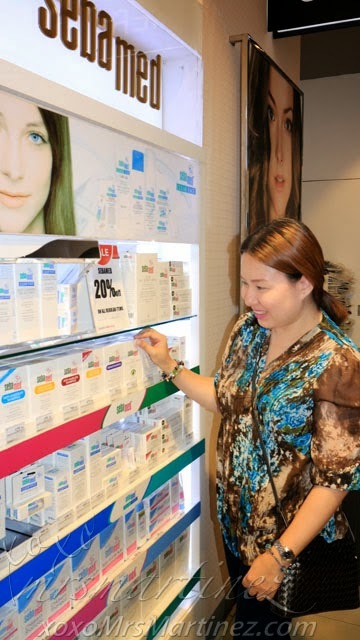 Asia's leading personal care store now offers a wider variety of products under its own label such as personal care items, beauty essentials, and even medicine. For smart moms like me, that's a lot of savings especially because it's the start of enrollment for the school year 2015-2016. 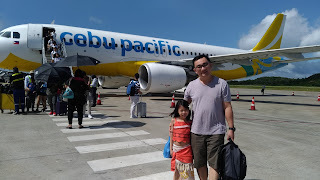 I don't want to scrimp when it comes to my daughter's education. I want to maximized my purchasing power so that I can spend more on other things that I really want that's why I choose to Switch & Save the Watsons way. 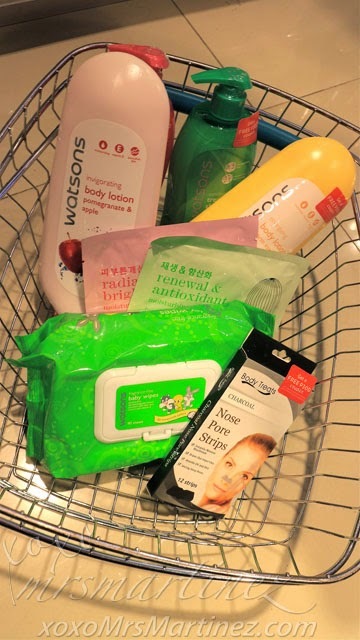 Since I was able to save a lot on Watsons label, I was able to shop for more! My favorite counters like L'Oreal Paris, Sebamed and Avene were also on sale. The price drop varies from 10% up to 45 off! Get a Free Php 300 coupon with a minimum single-receipt purchase from participating brands like Watsons, Palty, Calvit-C, MedGuard, HairFix, Avenine, BodyTreats, SureAid, Pure Beauty and a lot more! Everything I bought (listed above) was given a further discount of 10% because I exceeded Php 1,500 on a single receipt purchase. There's so much savings with Watsons! After Tessa and Christian, Patty Laurel-Filart was the third ambassador to surprise shoppers as she played store supervisor for the day. Dubbed as #CelebritySwitch, Watsons ambassadors are making rounds and surprising Watsons shoppers as they make the switch from being celebrities to playing the role of cashier or store supervisor for a day! 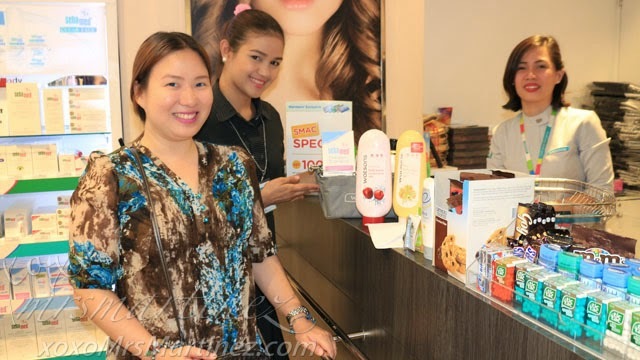 During my visit, I chanced upon Patty leading the tour, recommending Watsons products that she used and even shares some of her secrets to maintaining her model looks- Watsons Treatment Shampoo Argan Oil (Buy 1 Take 1) and Watsons Treatment Wax. "I've always been a practical shopper, especially now that I'm expecting my first baby I've become more conscious about the things I buy. Not only do I look at the price but also at the quality and even the contents of products I put on my shopping basket." said Laurel-Filart who has been part of the Switch and Save campaign since 2012. Watsons Nationwide 3-Day Sale is from May 15-17, 2015.